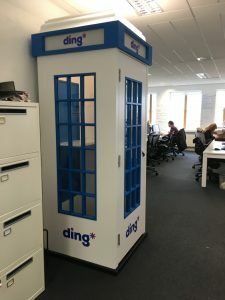 Ding is an Irish company that is now the worlds largest top up provider. The inspiration for Ding came in 2005 when Mark Roden got chatting to an Indian waiter while on vacation in Dubai. He described a slow and expensive process for adding minutes to his wife’s mobile phone back home in India reinforcing the distance between them. Determined that there had to be an easier way to do this, Mark embarked on developing a technology to enable the instant delivery of airtime to mobile phones anywhere in the world. Since then, it’s been a fascinating journey of growth, overcoming challenges and connecting people. 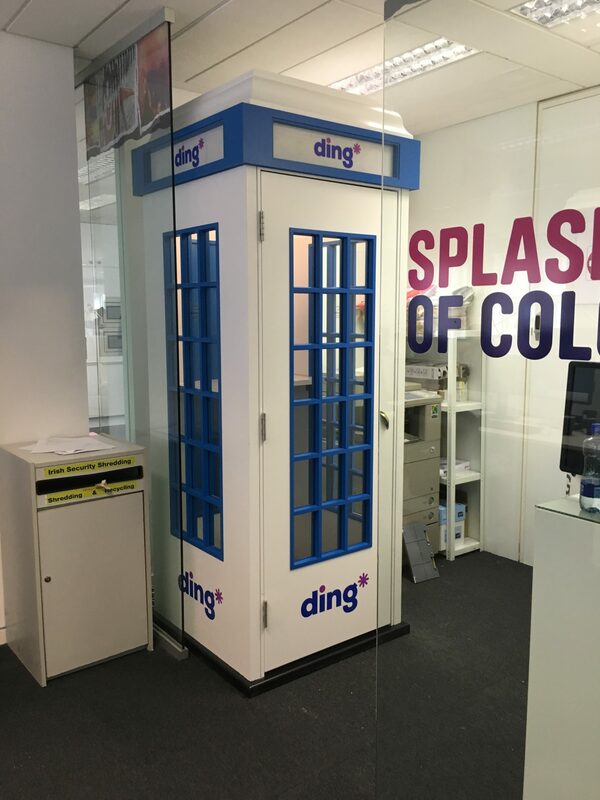 Ding has over 200 employees and offices worldwide in location including Miami and Dubai. 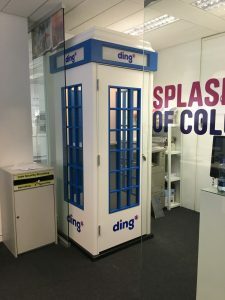 We provided ding with two 22dB acoustically tested quite zones for the open plan offices in Dublin. The ding office is a very smart and trendy designed facility so it was very important for them to have a quite zone that was going to fit in. So they called on a team that could- Burke Joinery. 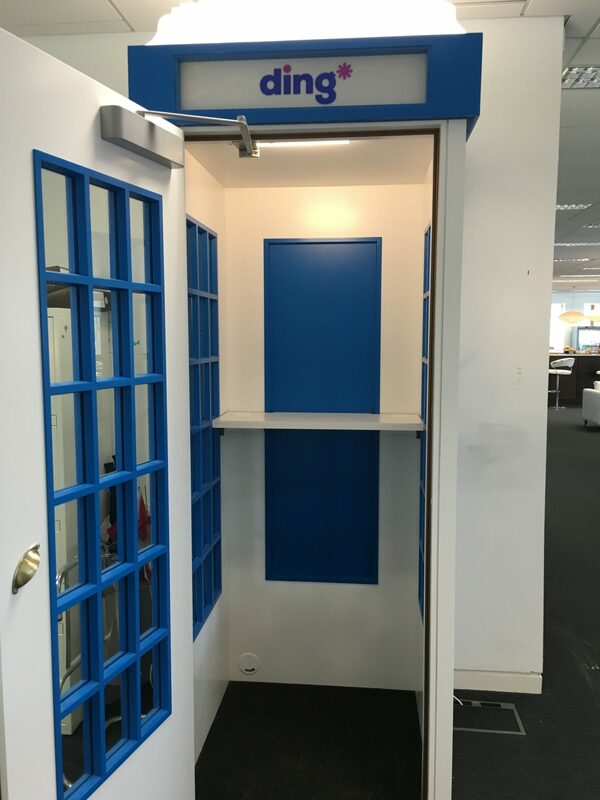 We designed a box that would match the company colours and branding while making sure it maximised the facilities space.